A typical Sahibu spread with meva biryani, agni kadi and puli anam. Agni Kadi is a strange name for a dish. Especially for a delicately flavoured stew that has only the merest hint of spices and a pale yellow colour that would shame a primrose. It has nothing in common with the visions of red-hot fieriness that the name evokes. Rather, this strangely named mutton curry from the tip of the Indian peninsula reminds you of the yakhnis of the far north. I. Sekar, sous chef from ITC’s south Indian restaurant chain Dakshin, Chennai, confirms that it is indeed a yakhni curry—a yogurt-based mutton broth. “Agni Kadi is actually a bastardization of the word akhni, which means shorba or broth. Yakhni is also a bastardization of the same word," explains the chef. 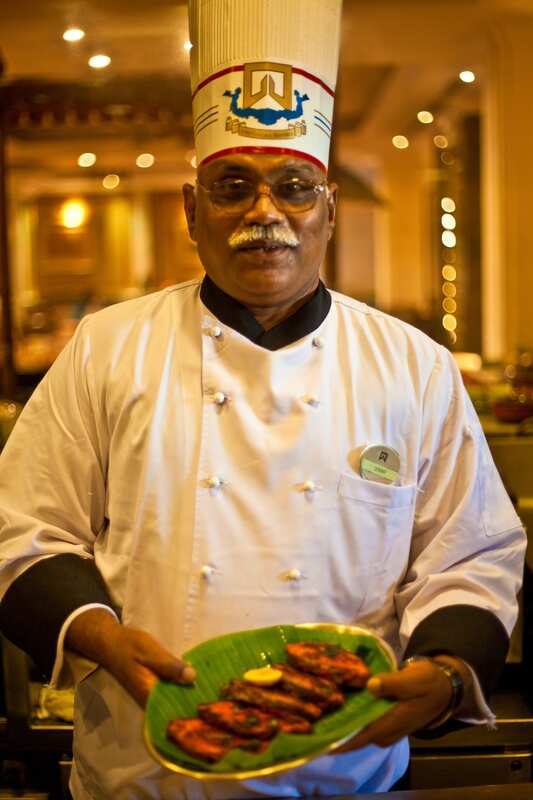 I. Sekar, sous-chef, Dakhsin Chennai, has researched the Sahibu cuisine for years. The cuisine is a mix of Tamil, Malayali, Lankan and Arab influences. The curries are milder, and not as redolent with spices as the cuisine of Chettinad; nor do they have peppery heat of the dry Madurai cuisine. They also call for more onions and garlic than is common in the other local cuisines. The richness of the curries comes from a base of four dry fruits or meva—cashew, almond, raisin and walnut. Not poor man’s food, the characteristic lavishness of the cuisine is manifest in every dish—be it the tangier, more complex rasam, Puli Anam with its tempering of onion, garlic and coconut, or the Meva Biryani which served with the typical south-eastern sambol and a tomato-pineapple jam. 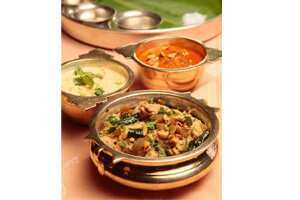 A typical preparation is a chicken from Keelakarai, Kozhi Korma, which is made with coconut and cashew paste. Make a thick paste with the lemon juice and chilli powder. The amount of chilli will depend on your level of spice tolerance. Rub the paste on to the fish and let it marinate for 10-12 hours. Grease an iron skillet or a heavy pan and heat over medium flame. Put the marinated fish in and grill for 2-3 minutes on either side till the skin is well seared. Serve hot with wedges of lemon and garnished with curry leaves.